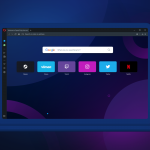 We are continuing to work on Opera Next and Opera Developer in our never ending quest to provide the best web browser. This of course doesn’t mean we neglect the Opera stable version. Recently you guys reported crashes when enabling notifications in Gmail. Thanks for the feedback and in return here is an update to fix this issue! What do you have to do to get the update? If you already have Opera installed it may well have already updated itself (or be in the process of updating). You can check this via the ‘About Opera’ entry in the main Opera Menu. Alternatively, if you want you can also manually download Opera here.